People are Starting To Stay Home To Eat More - Especially With Time Saving Cooking Strategies! More and more people are starting to eat at home. They have everything they need - entertainment, shopping and even food delivery! More people want to SAVE on their grocery bill and eat home cooked meals, so they are turning to different types of solutions such as batch cooking, freezer meals and using their leftovers. They don't want the same food every single day, but by using these types of cooking strategies they'll be able to buy and cook the food now and then use it again at a later time. This PLR pack will give your audience ideas on different ways to cook their food such as meal planning, using the slow cooker, batch cooking and putting together meals ahead of time and freezing them. The content you'll get in this PLR pack provides tons of informational value to your audience, but that isn't all! It also has profit potential with different types of products that you'll be able to recommend. All of these kitchen gadgets and tools make life easier for people, so they'll be looking to see how to make these new meals quickly. You'll get 10 high-quality articles that you can use on your website or blog to appeal to different niches such as busy people, health and wellness or a lifestyle blog. 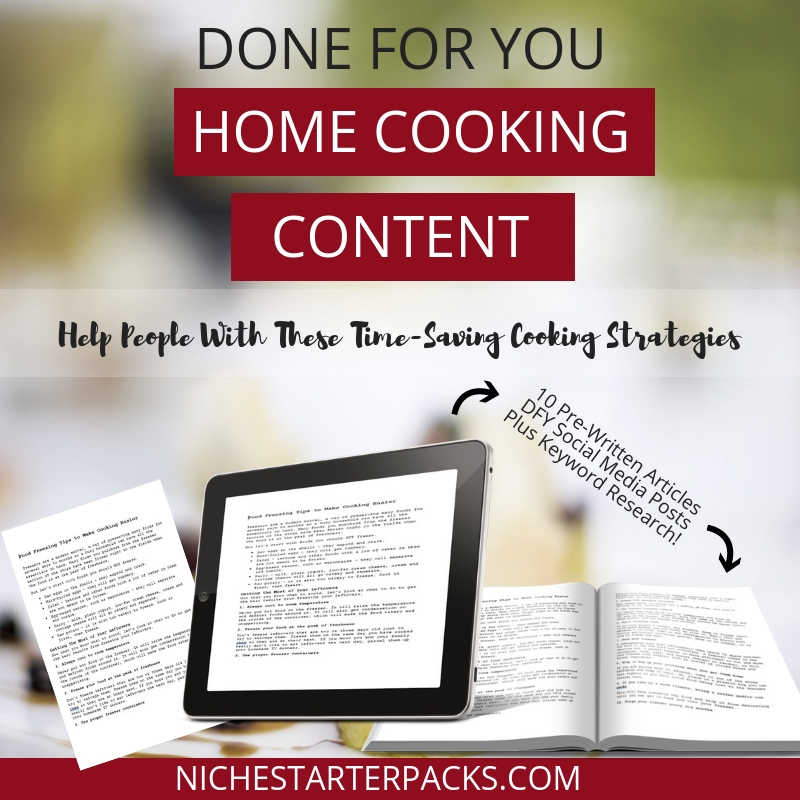 Done-For-You Home Cooking Content Bundle (Articles, Royalty Free Images, Keywords) – Get It All For $17! The blurbs encourage people to click on the link and read the rest of the blog post. I’ve come up with 200 long tail keywords all related to decorating in the fall. You’ll find some of these are what people like to call low-hanging fruit keywords while others have more searches.